"WALA" is an acronym for the method by which Dr. Hauschka developed his rhythmical processing method: Warmth, Ash, Light, Ash. "If one day we understand the rhythms of nature, this will be natural science in its truest form." Born in 1891 in Austria, chemist Dr. Rudolf Hauschka was a voracious student whose youthful appetite for knowledge was matched only by his taste for adventure. 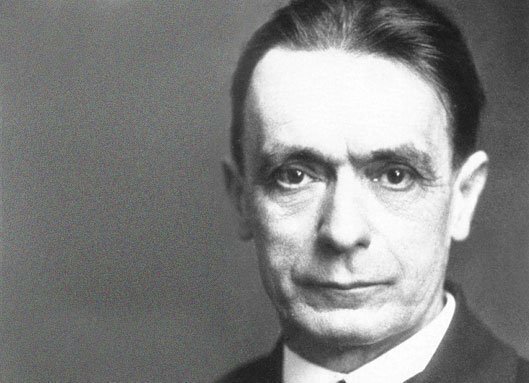 After serving in the Austrian Army through World War I, he embarked on a series of travels and studies, culminating in his association with the new, burgeoning Anthroposophical movement of Dr. Rudolf Steiner. In the 1920's, Dr. Hauschka settled in Switzerland to work with Dr. Ita Wegman, Dr. Steiner's associate and co-author of Extending Practical Medicine, the first treatise on Anthroposophic Medicine. The two were interested in creating effective remedies based on an Anthroposophic understanding of the effects of plants, minerals and metals on human well-being and health. In 1924, a year before Dr. Steiner's death, Dr. Hauschka posed the ultimate question. What, he asked, is the meaning of life? Dr. Steiner replied with an answer both simple and profound: "Study rhythm. Rhythm carries life." Inspired by these words, Dr. Hauschka began experimenting with various methods of preparing botanical extracts based on rhythmical exposure to elemental polarities and the homeopathic principle of potentization. In 1929, he achieved success in creating a water-based extract of rose petals that remained stable without the use of alcohol or preservatives. That very extract (or "mother substance") remained stable for more than 30 years. The medicines based on these watery extracts were so well-received by European physicians that Dr. Hauschka was able to open the first WALA laboratory in Germany in 1935. WALA stands for Warmth/Ash, Light/Ash after the unique rhythmical process discovered by Dr. Hauschka. WALA continued its work, constantly expanding into new realms of human health. Recognizing a kindred spirit in pioneering esthetician and anthroposophist Elisabeth Sigmund, Dr. Hauschka struck up a correspondence, asking for her thoughts on creating an Anthroposophically-based, holistic approach to skin health. Her answers so intrigued and impressed him that he asked her to visit WALA in 1964. Their ensuing professional relationship resulted in the creation of the Dr.Hauschka Skin Care product line and signature facial treatments. 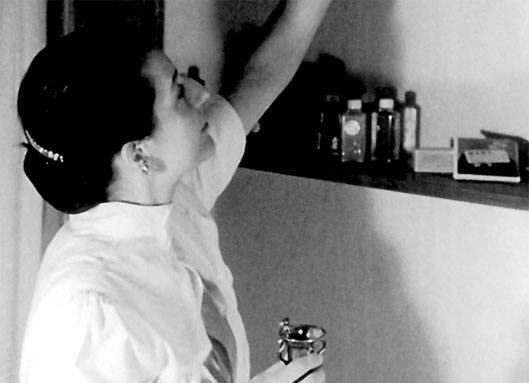 Dr. Hauschka died in 1969, but his work lives on at WALA through the ongoing research and production of Anthroposophical remedies and Dr. Hauschka Skin Care. Born in 1914 in Vienna, Elisabeth Sigmund was a gifted student, finishing school to pursue a medical degree despite the obstacles in place for women at that time. She was forced to abandon her medical studies due to illness, but became increasingly interested in skin care, which she recognized as a seriously undervalued facet of human health. She set out to study traditional European, North African and Asian cosmetics, with a particular interest in their historical relationships with religion, spirituality and cultural identity. When Ms. Sigmund discovered Anthroposophy and the teachings of Dr. Rudolf Steiner, she found the common ground between these disparate cultural traditions. Steiner once said: "an object of beauty is something that reveals its inner being in its outer form." These words rang true for Ms. Sigmund, inspiring her to begin developing a holistic approach to skin care which would bring about skin health as a means toward achieving outward beauty. After World War II, she and her husband settled in Sweden and opened the Salon for Beauty Care in Stockholm, where Ms. Sigmund continued experimenting with holistic botanical skin care preparations and facial treatments. At that time, a family friend introduced her to the work and products of WALA, whose botanical remedies and preparations were based on the tenets and methods of Anthroposophic medicine and Biodynamics. She began ordering preparations from WALA for use in designing her skin care products, and the results were remarkably positive. Around the same time, she was inspired by Denmark's Dr. Vodder to examine the relationship between the lymph system, health and beauty. Her unique approach to lymph stimulation was a transformation of Vodder's lymph drainage that complimented her unique skin care preparations. That, in combination with the Anthroposophic emphasis on rhythm, evolved into a unique facial now known as the Dr. Hauschka Classic Treatment. After corresponding by mail and sharing ideas for a system of holistic skin care, WALA co-founder Dr. Rudolf Hauschka invited Ms. Sigmund to Germany in 1964, and the two worked to develop a line of holistic, Anthroposophically-based natural skin care products and methods. Ms. Sigmund subsequently moved to Eckwalden, Germany to work with WALA full-time. Launched in 1967, the Dr. Hauschka Skin Care line is respected the world over today for its purity and efficacy. Elisabeth Sigmund's Classic Treatment is introduced two years later. "The healthy social life is found when in the mirror of each human soul the whole community finds its reflection and when in the community the virtue of each one is living." Dr. Rudolf Steiner first made his mark in his early twenties as one of the world's leading scholars of Goethe, the 18th century German poet, playwright and scientist. Inspired by Goethe's theories regarding the natural, social and spiritual worlds, the young Dr. Steiner embarked on his own path of philosophical discovery. By 1913 he was actively promoting a new, spiritually scientific approach to understanding and advancing the human condition, which he called Anthroposophy. Anthroposophy combined Dr. Steiner's education in philosophy and metaphysics with his Goethian approach to the natural sciences, as well as his own personal spiritual experiences. From 1914 to 1924 he delivered lectures throughout Europe, introducing Anthroposophic approaches to a diverse range of topics including agriculture, fine art, architecture, theology and medical science. 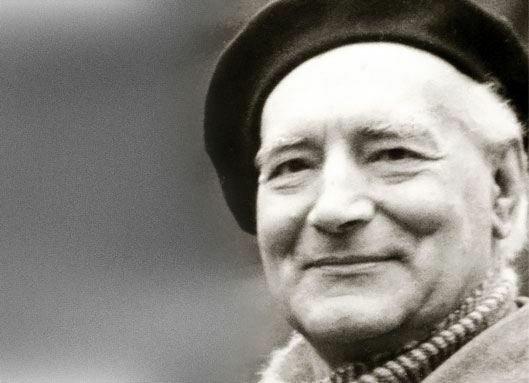 His interest in alternative approaches to education resulted in the founding of the first Free Waldorf School in 1919, the success of which spurred an educational movement that is growing in popularity to this day. The following year, 1920, saw the first training of physicians in what came to be known as Anthroposophic Medicine: a spiritual extension of medical science practiced today by physicians around the world. Several years later, in 1924, Dr. Steiner delivered a lecture to German farmers in which he outlined a new approach to sustainable holistic agriculture, which came to be called biodynamics. Today farms, gardens and vineyards the world over employ Biodynamic methods to great success. After Dr. Steiner's death in 1925, Anthroposophy continued to blossom into a worldwide movement. From Waldorf Schools and Camphill Communities to WALA Heilmittel and Dr. Hauschka Skin Care, Dr. Steiner's influence on the world continues to resonate.